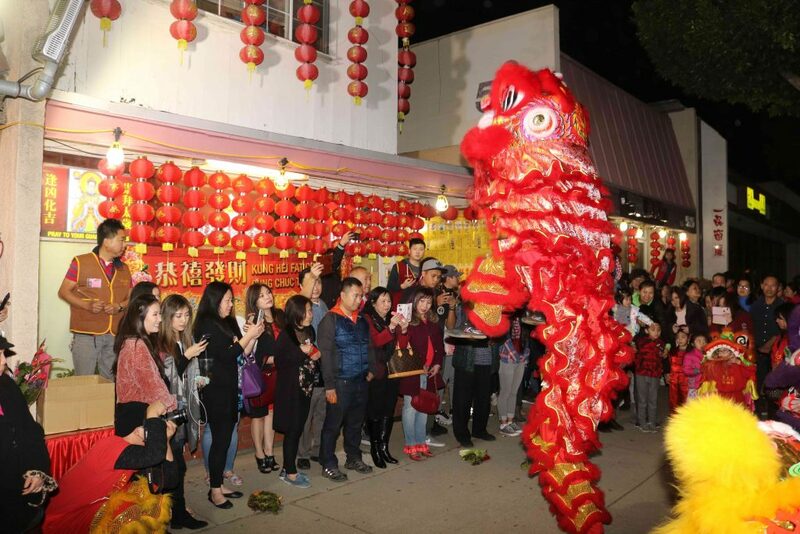 MONTEREY PARK, CALIFORNIA – Thousands upon thousands of Chinese Americans celebrated the Year of The Dog late last Thursday night and early Friday morning by going to Buddhist temples, the Prajna Buddhist Mission and Wong Tai-Sen Taoism Center in Monterey Park, Southern California. The Year of The Dog begins on February 16, Friday. For those wish seekers, to burn the first incense as the New Year begins is thought to bring them good fortune and prosperity for a whole year. Therefore, many people prefer to go to the temples on the New Year’s Eve and waiting for the coming of the Chinese New Year with flowers, incense burning and other forms. The Prajna Buddhist Mission and Wong Tai-Sen Taoism Center saw a record number of people lining up for a chance to burn their first incense on Friday morning. The City of Monterey Park sent two police cars and three police officers to the area to make sure that the celebration went smoothly. 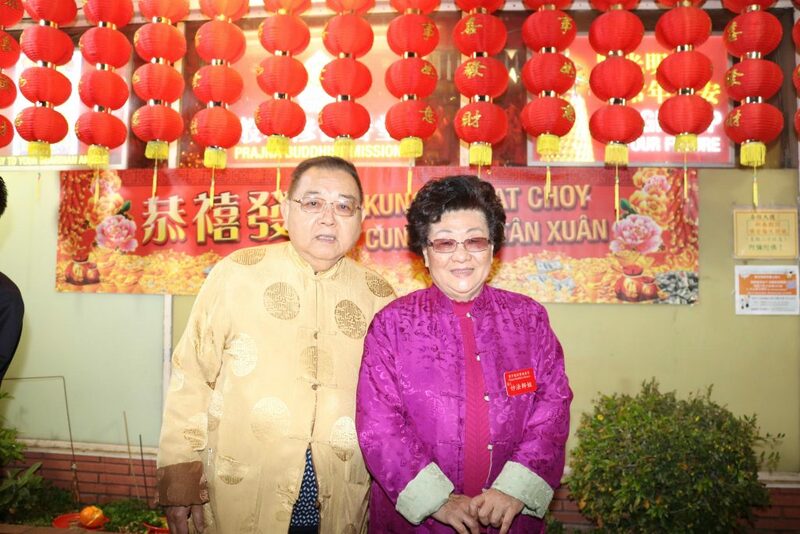 According to Edward Wong, who owns the Wong Tai-Sen Taoism Center, not only Chinese Americans but also other Asian Americans from Vietnam, Cambodia, Laos, the Philippines and other Asian countries share the same habit to celebrate the Lunar New Year, the Year of the Dog for this year. In Chinese astrology, each year is related to a Chinese zodiac animal according to the 12-year cycle. 2018 is the Year of The Dog, while the passing year is the Year of The Rooster. A recent poll shows that of the 12 animals, dog is the most popular among Americans. Chinese Americans particularly like the Year of The Dog because all dogs bark “wang, wang,” in Chinese it means that it will bring “prosperity and good fortune” to everyone. According to Wong, every year there are people who donate money and food while going to the temple and his center will send those donations to the people who need them. To help people with donations will also bring them good fortune and good luck.